Martin Friedman, the Walker’s director from 1961 to 1990, passed away in New York City on May 9, 2016. When I began my tenure at the Walker in early 2008, it had been almost 20 years since Martin Friedman had retired. As the institution’s third and longest-serving director, Martin was legendary and his influence foundational. Indeed it was Martin who gave form to founding director Daniel Defenbacher’s WPA-era vision of the art center as “meeting place for all the arts.” And it was he who shaped the building blocks of the multidisciplinary institution we know today. During Martin’s 30-year tenure—first as curator and then as director—the Performing Arts and Moving Image departments were established, each led by a succession of influential, groundbreaking curators he hired. These were among the first of such programs in museums around the country. 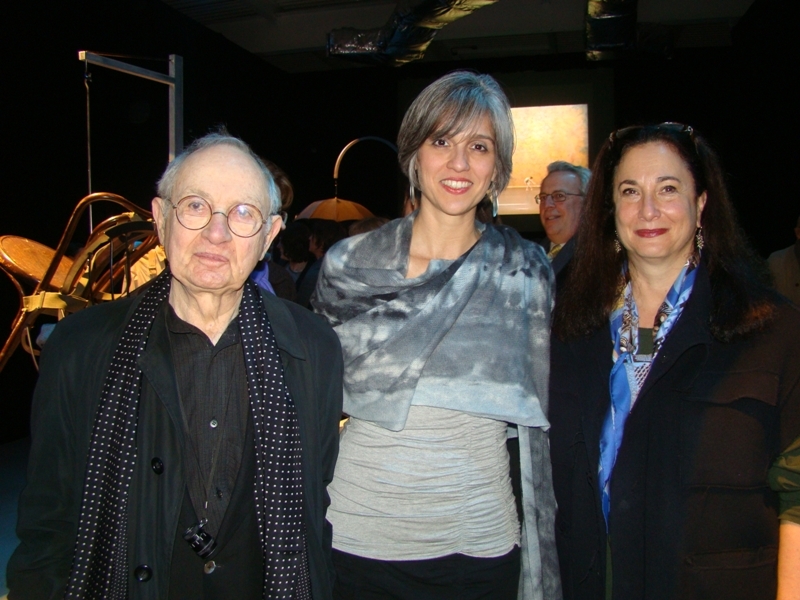 Together with his equally visionary wife, Mickey Friedman, who led the Walker’s renowned design studio and passed away a few years ahead of Martin, the Visual Arts and Design programs at the Walker flourished and set new standards for exhibition and publication design in the contemporary field. Despite the decided impact of Martin’s immediate successor, Kathy Halbreich, who solidified the Walker’s global reach and impact in her 16 years as director (1992–2007), Martin’s legacy still loomed large in Minneapolis when I took the helm. And Martin’s values and influence could still be felt through a cadre of devoted staff members who carried his exacting precision and excellence—the utter commitment to detail that defined his career at the Walker. “Friedman perfection” was conveyed in a variety of ways, most notably through the telling of the apocryphal “turning snow” story, in which Martin purportedly directed the Walker’s building maintenance crew to go outside with shovels in subzero Minnesota weather to “turn the snow” around the museum. The goal: to ensure that a pristine carpet of fresh white would set the Edward Larrabee Barnes building off just so. This was, of course, essential before any winter opening at the Walker. My arrival in Minneapolis in 2008 also coincided with the 20th anniversary of the Minneapolis Sculpture Garden, the adjacent 11-acre “garden for art” that was one of the signature triumphs of Martin’s tenure. Inaugurated in 1988, the Minneapolis Sculpture Garden was among the first major urban sculpture parks of its kind in the US and heralded as a new model of public-private partnership. This model would be successfully emulated in Chicago, Kansas City, Seattle, and New York—in several instances with Martin’s advisory counsel. In planning the anniversary celebration for the Garden in 2008, I was able to spend time with Martin and Mickey, who came to Minneapolis for the occasion. Over the next decade, I would often frequent their Manhattan apartment when traveling to the city, always leaving with elaborate stories of his adventures (and misadventures) as director. Martin was always working on his memoirs, and in 2015 the Walker began to publish his recollections online as part of its 75th anniversary as a public art center. He’s given us permission to publish a wealth of his memories in the months and years to come. The Friedmans’ New York apartment was a trove of Walker artifacts and memorabilia—old photographs, posters for past Walker exhibitions, signed sketches, and personal gifts from artists, as well as a wonderful collection of art works by artists whose careers he supported, most notably Sol LeWitt, Claes Oldenburg, and Mark di Suvero, all artists he remained close with through the decades. It was clear that Martin thoroughly enjoyed his time as director of the Walker. He loved the Walker the way Bill Clinton loved the White House. As Clinton said in his last days in office, “I just love this place!” Martin’s love of the Walker was only matched by his appreciation of artists and a zeal for working with creative people. He also cherished collaborating with Mickey and the talented league of curators he hired through the years—from Richard Koshalek and Graham Beal to Adam Weinberg and Larry Rinder, all who went on to run their own institutions. The list of colleagues to whom Martin gave first opportunities is long; he had a decided eye for recognizing talent and investing in it. 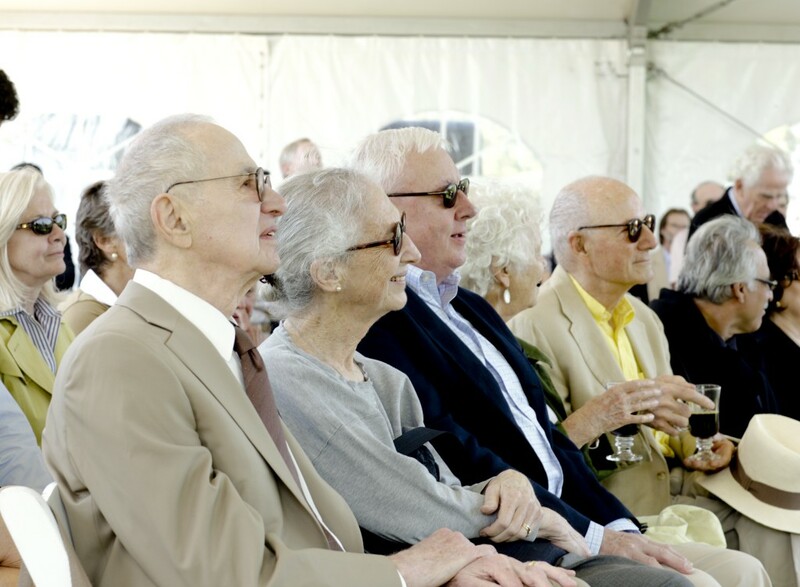 He also enjoyed working with donors, and he was surrounded by an equally impressive array of community leaders of his generation who became the visionary philanthropic powerhouse of the Twin Cities from the 1960s through the 1990s. These individuals not only presided over the Walker but also the Guthrie, Minnesota Opera, Minnesota Orchestra, and St. Paul Chamber Orchestra. Among the highlights of my first year at the Walker was sharing dinner with a circle of Martin’s devoted patrons, some who have since passed, including Phil von Blon, Harriet and Ed Spencer, and John and Sage Cowles, as well as others who continue to be incredibly generous to the Walker to this day, including Bruce and Martha Atwater, Judy Dayton, Erwin Kelen, and Penny Winton. In the coming years, Martin and Mickey would be part of a number of Walker milestone moments during my tenure, including the 2011 announcement of the acquisition of the Merce Cunningham Dance Archive in which we brought into the Walker’s collection a trove of incredible objects—props, sets, drops and costumes as well as other ephemera—created through Merce’s signature collaborations with dozens of visual artists throughout his career, including Andy Warhol, Robert Rauschenberg, Frank Stella, Jasper Johns, and Olafur Eliasson. Indeed, the Walker’s relationship with Merce had commenced with Martin’s invitation in 1961 and was followed by 16 distinct engagements over nearly 60 years and three directors. It was amazing to be able to share that occasion with Martin and Mickey, as well as Kathy Halbreich, who joined me, and a host of Walker donors, at the Rauschenberg Foundation Warehouse in New York to celebrate the historic acquisition. Similarly, when we acquired Jim Hodges’s Untitled, an arrangement of four shimmering boulders, in 2013 and placed them on the hill of what would become the Walker’s upper garden, Martin made a pilgrimage to Minneapolis to see them. It was not an easy journey up the hill with his cane, but he managed. It was always like Martin to be at the center of things, to be curious and inquisitive about what was exciting and new. What meant most to me about this visit was that Martin knew this major new acquisition was an opening gesture for a bigger, longer-term vision that would unify the Walker and Minneapolis Sculpture Garden campus and would ultimately entail a major renovation of his beloved Garden. I feel very fortunate that I was able to share with Martin and Mickey the plans for the redeveloped 19-acre campus that will be inaugurated in June of 2017. They both wholeheartedly endorsed our plans and went out of their way to let me know that they were supportive of my vision. Indeed, just weeks before passing in 2014, Mickey insisted that I should not feel beholden to honoring their legacy in the Garden. As she emphatically stated, she and Martin’s careers at the Walker were insistently about the future, supporting artists, and advancing the new. She affirmed that the best way to honor their legacy was for me to move forward and not look back. I will never forget that beautiful gift that Mickey and Martin gave me that afternoon—the permission to lead and shape—to “turn snow” my way, just as they did before me.